Pregnancy massages are often surrounded by myths and warnings, but don’t worry! 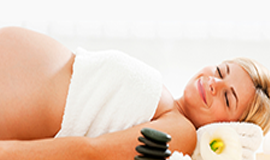 Prenatal massage actually boasts quite a few benefits for expecting mothers. You may be wondering what the benefits are and how prenatal massage can help you. Read on to learn more! Pregnancy invites an influx of hormones that can be stressful to expecting mothers, but massage therapy can help. The hormone levels shift during a massage and can help regulate your mood, as well as help your cardiovascular system. Several studies have shown that pregnant women who receive a pregnancy massage twice a week for just 5 weeks had reduced levels of stress hormones, such as cortisol and norepinephrine. However, their feel-good hormone levels, dopamine and serotonin increased. So what’s the benefit of this during pregnancy? These hormone changes can lead to fewer complications during birth and even help the health of your baby. Your joints may swell during pregnancy due to reduced circulation and increased pressure on blood vessels. When you receive a massage, the tissues holding onto the fluids may release them and help decrease swelling. If you are experiencing sciatic nerve pain, pregnancy massage may be able to help. 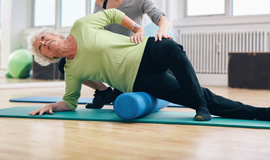 We can help relieve the tension on the muscles that may be leading to inflamed nerves. The professionals at Naples Massage & Neuromuscular are trained specialists who are prepared to provide thorough and safe massages to pregnant women. Before making your appointment, make sure to talk to a doctor first, as prenatal massages are not for everyone. Call us today to learn more!